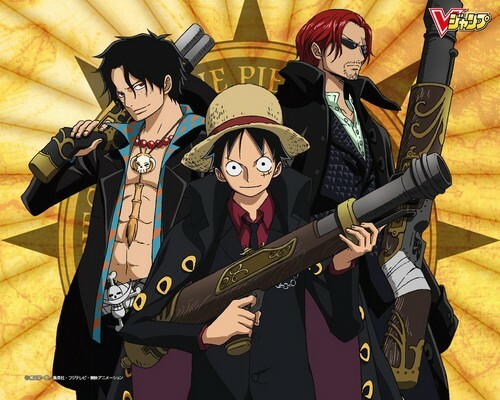 *Ace*Luffy*shanks*. to all my one piece peminat-peminat. HD Wallpaper and background images in the One Piece club tagged: one piece anime pirates straw hats shanks luffy ace. This One Piece wallpaper might contain beret hijau, pasukan khas, askar elit, elit askar, and rifleman.